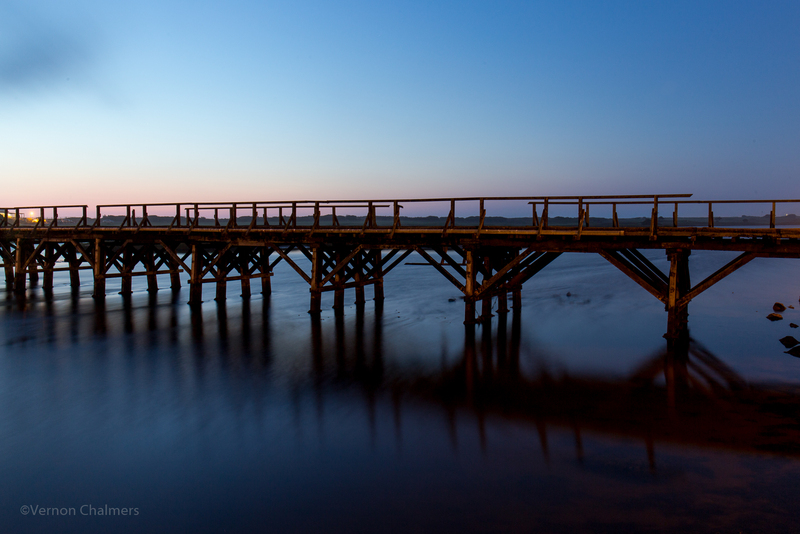 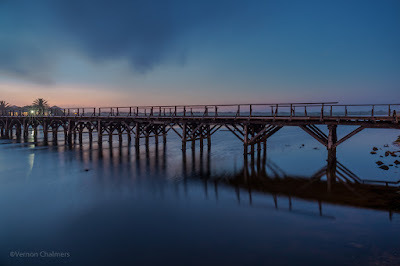 Testing the Canon EOS 6D's long exposure / low light capabilities towards the old wooden bridge in the Milnerton Lagoon / Woodbridge Island Cape Town (without any filters). 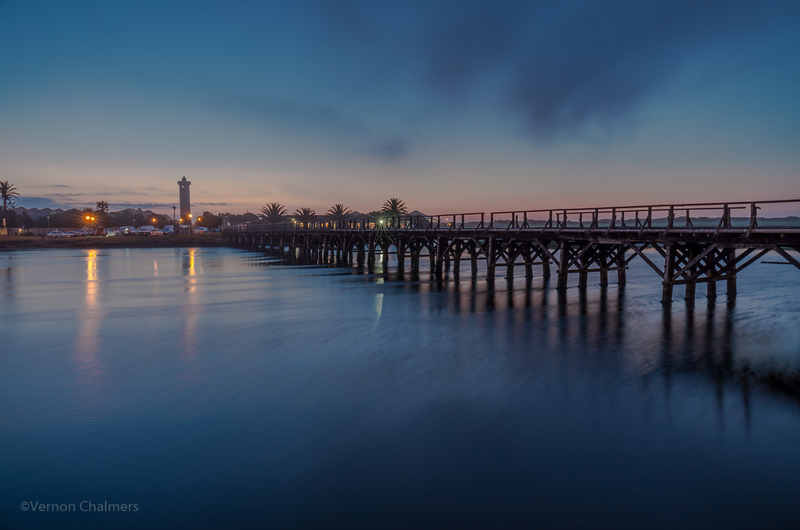 In the background of the first image is the Milnerton lighthouse and Milnerton canoe club. 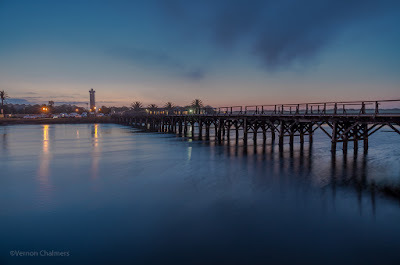 All photos by Vernon Chalmers with Canon EOS 6D / Canon EF 24-70mm f/4L IS USM lens (Av Mode / on Manfrotto Tripod). 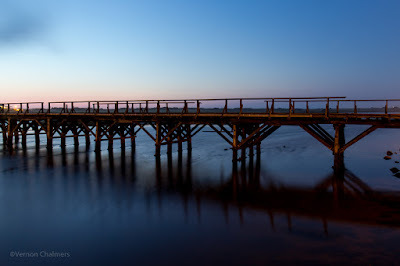 Please do not use / re-publish any Vernon Chalmers Wooden Bridge After Sunset, Cape Town Photography images without permission. View the Vernon Chalmers Photography Copyright Policy for more more information.